The highly standardized ECO Scanner detects defects strong in contour and contrast like scratches, seeds, dirt and bubbles. This makes the ECO Scanner ideal for the control of e.g. grinded glass directly after having passed a washer. 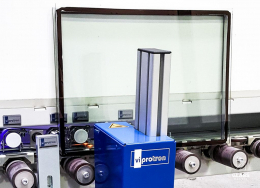 The main purpose is to secure a good glass quality or at least the chance to scrap defected glass before adding more value to it. 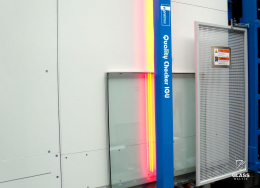 The ECO Scanner is detecting with only one channel in brightfield (read more about detection channels in Quality Scanner's attached technical data file). 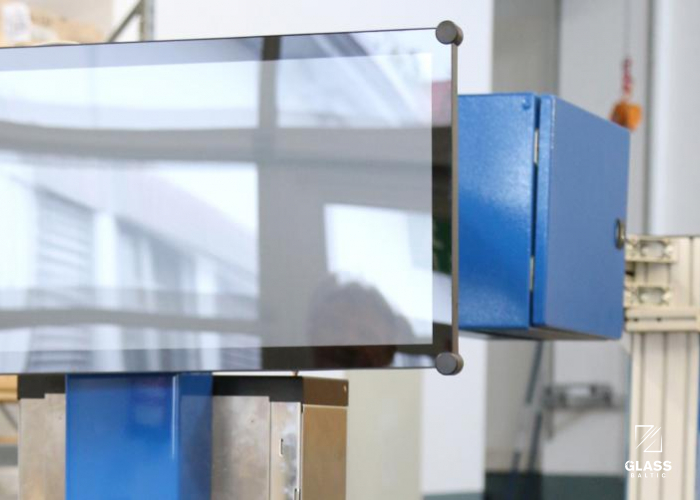 It can be used for all clear and coloured floats, LowE, tempered or laminated glasses etc. with a light transmission < 60%. 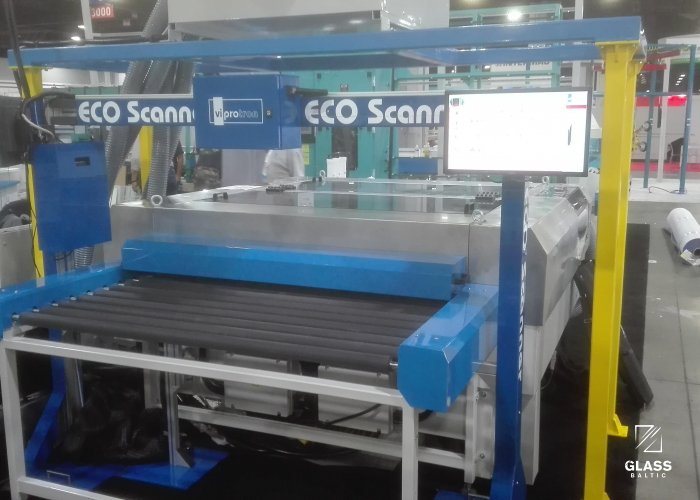 The ECO Scanner allows a control without delay in production with conveyor speeds up to 20 m/min. 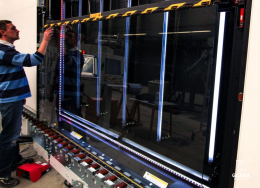 Quality relevant defects are visualized based on recipies according to general quality standards or customer defined quality levels. 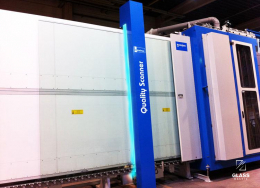 Due to its innovative construction the ECO Scanner is easy to integrate into existing or new, vertical or horizontal, production lines. 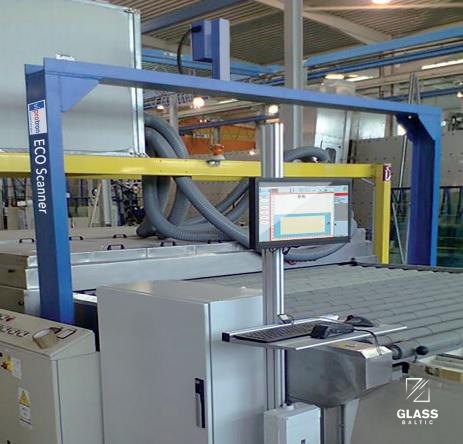 As there is no need anymore for a preparing the production line with a gap and an installation manual is available, the ECO Scanner can be mounted easily by the customer himself.